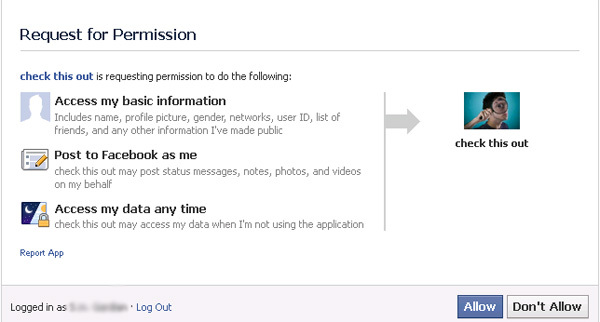 Clicking “Allow” will give the scammer access to your Facebook data at any time and the application will be able to post to Facebook as you. This will allow them to spam their scam messages to all of your friends. This particular application is called “check this out”, but these scams are known to use multiple app names and multiple domain names. 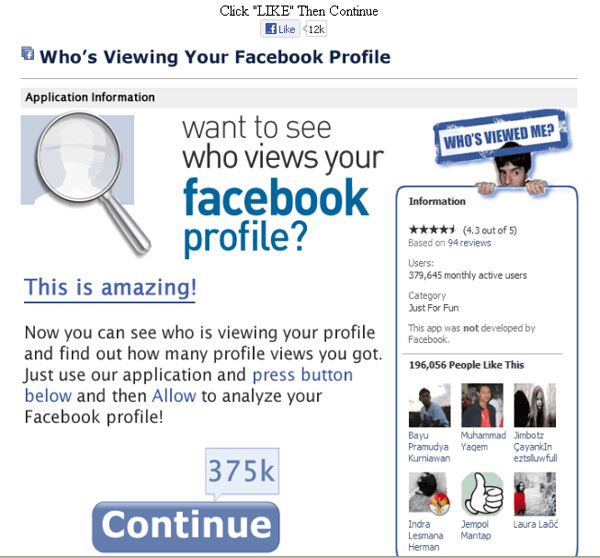 Keep in mind that profile spy and stalker apps are all bogus and violate Facebook’s TOS, and developers do not have access to the information required to complete such applications. 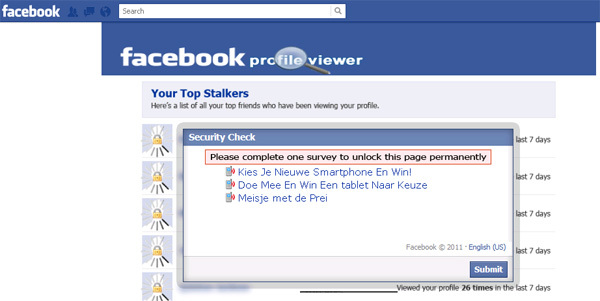 You also need to remove the app from your Facebook account. Click the down triangle—>Account Settings—>Apps to remove this and other rogue applications.